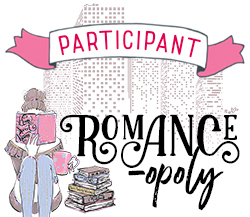 When we started working on a list of our favorite romances to help celebrate this holiday weekend, we realized that a lot of them don't actually happen in romance novels. Mercy Thompson and Adam Hauptman from the Mercedes Thompson series by Patricia Briggs. These two might not have made my list, but I recently re-read one of the early books in the series and realized just how hard they had to work to get where they are now in the series. Adam was incredibly patient and understanding of Mercy's issues. His acceptance was what allowed her to become the heroine I always think of her as being. Kate and Curran from the Kate Daniels series by Ilona Andrews. The dialogue! OMG! The dialogue! The quips and bickering and endless back-and-forth and the interactions between these two is everything! Kate and Curran are one of my favorite couples to come out of the urban fantasy genre. I love them! The banter, the protectiveness, the loyalty. I love it all! I didn’t think I would like them together when a friend was describing to me why they were her OTP, but I totally got it after I read the books. I’m so invested in this relationship that it’s scary. I’ve shipped them from the moment Kate taunted our favorite Beast Lord with “Here, Kitty, Kitty, Kitty…”. Gah! I love them! Cassie Palmer and John Pritkin from the Cassandra Palmer series by Karen Chance. Okay, so they're not exactly officially a couple. But they should be. I love Cassie and Pritkin together! She is a disaster waiting to happen and he is grace under pressure. I hope that Chance eventually lets them get together. Eowyn and Faramir from the Lord of the Rings by J.R.R. Tolkien. Eowyn and Faramir were one of those couples I instantly shipped. They’re both a bit broken and needed the other to be whole. Not to mention, they both need love in their lives desperately. I loved them from the moment Faramir first glimpsed the White Lady in the healing houses in Minas Tirith. I almost love them more than Aragorn and Arwen and that’s saying something because I adore those two as a couple. Lizzie Bennett and Fitzwilliam Darcy from Pride and Prejudice by Jane Austen. Do I really need to explain why I love these two? So many people love Lizzie and Darcy as a couple and I'm one of them. I have loved every incarnation of them from the book to the movie to the webseries and even their characters in Pride and Prejudice and Zombies. I love them so much. They're both flawed and have to have a moment of realization that they're each wrong before they can come together. Sienna Lauren and Hawke Snow from the Psy-Changeling series by Nalini Singh. I loved watching this relationship develop over several books until it finally became official in Kiss of Snow. I think maybe I just admire Sienna for aiming so high. She knew what she wanted right away even though she was a teenager when they met. I still think it's weird to see her balance training with people her own age and being the Alpha's partner, but I love that it works. Hermoine Granger and Ron Weasley from the Harry Potter series by J.K. Rowling. I have shipped Ron and Hermione since I read the first Harry Potter book. I love them together! They balance each other out. Ron is the goofiness that Hermione needs to balance her seriousness and vice versa. I still remember that moment in the seventh book when I realized that my ship had sailed. My little heart was so happy. I’m pretty sure I read that kiss scene like fifteen times that night. They will always be my favorite couple to come out of the Harry Potter books. They are very different from each other and that's what makes them work for me. Cat and Bones from the Night Huntress series by Jeanniene Frost. We all know that Cat and Bones are both badass vampires. But researching my Alpha Showdown post last year reminded me what a romantic he is as well. Theirs is, in a way, an enemies-to-lovers story and Bones really worked for that love. By the end of the series, they're almost a single unit and I can't imagine one without the other. Vin and Elend from the Mistborn series by Brandon Sanderson. Vin and Elend are one of my favorite literary couples of all time! They are such a weird match that it works. Vin is impulsive and street smart whereas Elend is book smart and idealistic. They are opposites but they complement each other. I’ve always loved that Elend is fine being the brain while Vin is the brawn. Gah! I just love these two together so much! I can’t even properly articulate my love for them. Cookie and Uncle Bob from the Charley Davidson series by Darynda Jones. Most of the relationship between their first date and their wedding happened between books, but I'm still so happy that these two finally got together. I do hope that they eventually get to go on that honeymoon and that Darynda writes a novella about it. Raphael and Elena from the Guild Hunter series by Nalini Singh. I feel like I could include any of the couples from Nalini Singh's books because I love them all so much! But for this list I'm going to Raphael and Elena. They are a recent favorite couple for me. And the thing is that I didn't like them together immediately. I thought they had chemistry and all but I wasn't convinced they belonged together. Then book two happened and I am all for them together now! They work so well together! I love them! I can't wait to see how their relationship develops as the series continues! Fortitude Scott and Suzume Hollis from the Generation V series by M.L. Brennan. I loved both characters separately so I was happy to see them get together. Theirs is an unusual UF relationship though, since she's the one who knows all about the supernatural world and starts out having to both train and protect him. But by the time Fort starts to develop his vampire powers, they've become more like partners. Charles and Anna from the Alpha & Omega series by Patricia Briggs. Charles and Anna are one of my favorite OTPs and are a perfect example of the “fated to be mated” story done right. They’re werewolves and mates but they still manage to be a rather odd pair. Their inner wolves chose each other as mates before their human selves knew what was happening. Due to different past circumstances they are both deeply scarred by traumatic lives, and those scars play a very real role in their ability to interact and trust each other. Some “fated to be mated” stories immediately jump to hot and heavy and totally in love, but that’s not the case with Charles and Anna. Their human halves struggle with the mating and come to accept it way later than their wolves. The romance develops slowly and it is a sweet one. They are exactly what they both need. I adore them and I’m so glad that I have their stories to read over and over again. OH you hit a lot of my favorites! I totally forgot about Andrea and Raphael. I'm just starting the Guild Hunters so I'm hoping Raphael and Elena attract me more.